A formula designed to meet the ever-growing hot wax requirements of Brazilian-style bikini waxes and other sensitive areas such as the face. 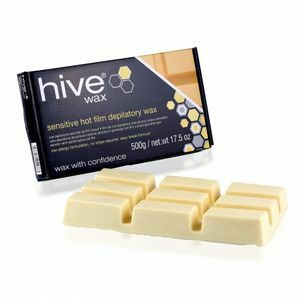 HIVE Hot Film Waxes have improved adhesion properties and a low allergy-risk formulation, allowing gentle application for best customer comfort. This performance of the wax, combined with its fast drying properties, is specifically tailored to the needs of wax professionals. The block can be easily broken to the required size for specific treatments, and can be applied as a thin layer. 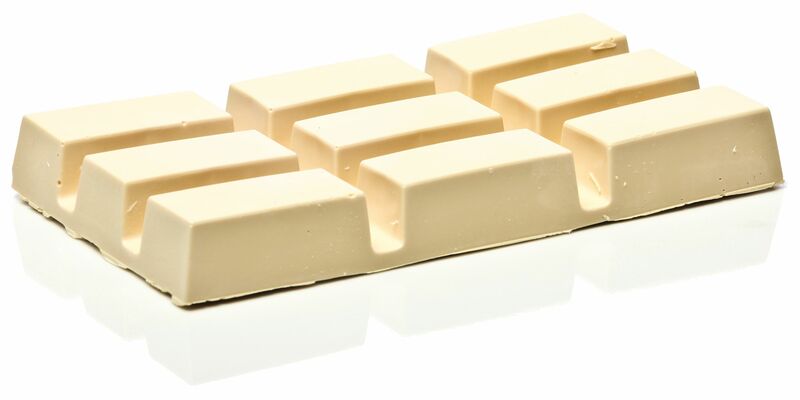 Due to the Easy-Break formula, cracks or fractures may appear in the wax product before application. Erforderliche Menge des Produktes abbrechen und in den Wachs-Erwärmer legen. Überprüfe bitte die Temperatur des Wachses und trage erst dann eine dünne Schicht auf den zu behandelnden Bereich in Wuchsrichtung des Haares mit Hilfe eines Spachtels auf. Lass das Wachs abkühlen, halte die Haut straff und ziehe das Wachs entgegen der Wuchsrichtung des Haares ab. Wir empfehlen die Produkte zur Vor- und Nachbehandlung zu verwenden. Caution: For external use only, avoid contact with eyes.